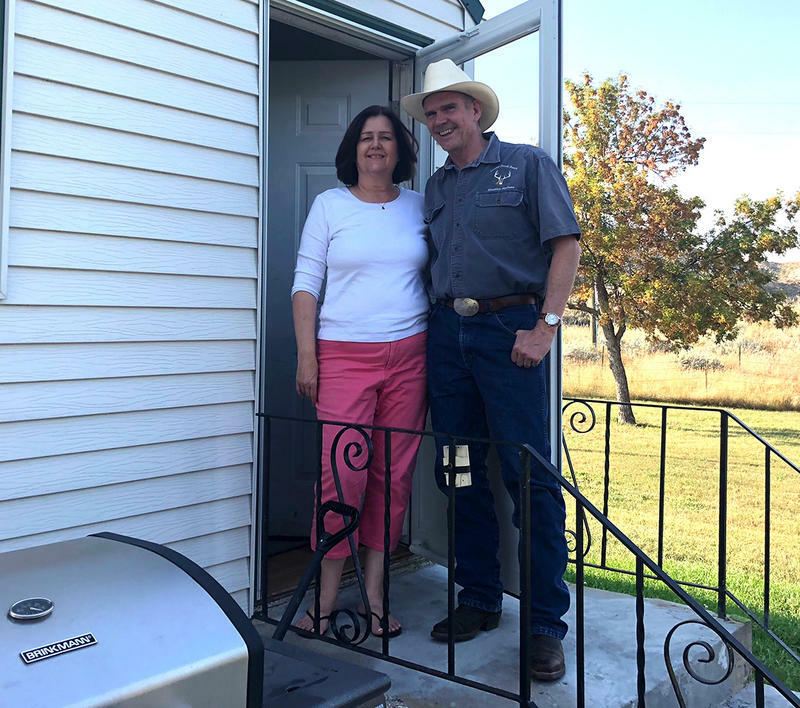 Montana Republican U.S. Senate Candidate Matt Rosendale with his wife Jean at their home in Glendive, MT. Rosendale lawn signs are up for grabs, brochures show a picture of him shaking hands with the president. A local woman tells me she woke up at dawn to drive to Great Falls to see Trump when he visited in July, and went to Billings to see him again in August. Rosendale tells the crowd that the President’s agenda is at stake this November. 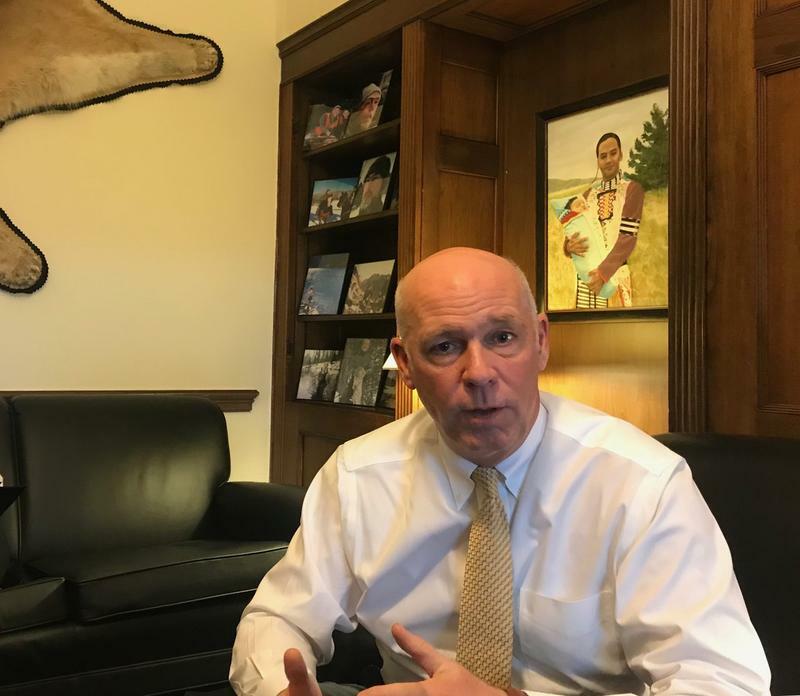 Trump won Montana by more than 20 points in 2016. A CBS news poll taken last week shows the state fairly evenly split between those who approve and disapprove of how the president is handling his job. Rosendale and his supporters at the Glendive VFW think Trump is doing great. Tom Nowlin, who sat at the front of the VFW gathering, says the president has done what he said he’d do. “I like Rosendale because he says he supports the president. If he does what he has here in this flier, that makes me happy,” Nowlin says. That flier says Matt is a fighter who puts Montana first. Earlier that day I drove out to Rosendale’s place, 9,000 acres, just north of town along the Yellowstone River. Montana Republican U.S. Senate Candidate Matt Rosendale. Talking at his dining room table, Rosendale tells me he gets back here once every few months. Elected state auditor in 2016, his day job is in Helena, more than 430 miles away. Corin Cates-Carney: During the Republican primary in 2016 you initially backed Ted Cruz. So I’m wondering when and why you became all-in for President Trump. He has produced on every single one of those promises with the obscution of Jon Tester and the hard left. CCC: Rosendale leaves out the campaign promises President Trump has not delivered on, like his promise to, “repeal and replace” the Affordable Care Act. Nor has a wall been built on the border with Mexico, at Mexico’s expense. Trump withdrew the U.S. from the Trans Pacific Trade Partnership, a move mainstream Montana agriculture organizations disagreed with. He’s currently re-negotiating NAFTA, a trade pact farmers here have also supported. Rosendale says he’s confident that Trump can strike better trade deals for the country. Farmers here hope that’s the case, but many don’t see it as a sure thing. CCC: How do you describe your campaign outside of mentioning Mr. Trump, or your opponent, Democratic Senator Jon Tester? What about Matt Rosendale makes Matt Rosendale the most qualified person to represent Montana in the U.S. Senate? MR: I do have a record of reducing spending in government. I reduced the operating costs in the auditor's office by 23 percent. 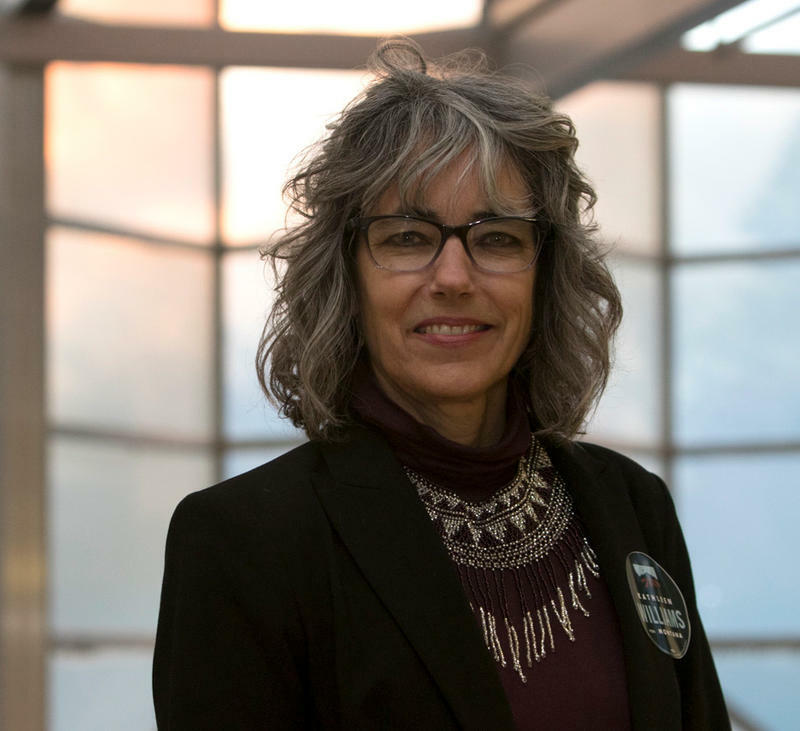 I declined my own pay raise and was the only state official to do so. We protected public lands with my work on the land board. I like to point to my record and say these are the kinds of things that the people of Montana have asked for, and I have produced them. CCC: Rosendale’s first six tv ads since winning his party’s primary don’t mention his track record as an elected official, which include three terms in the state Legislature, one as Senate majority leader. He voted consistently to expand concealed carry gun laws and to restrict access to abortions. Rosendale turned down proposals to increase public employee pay and benefits, and to boost funding for public schools. He supported public charter schools and tax credits benefiting religious schools. 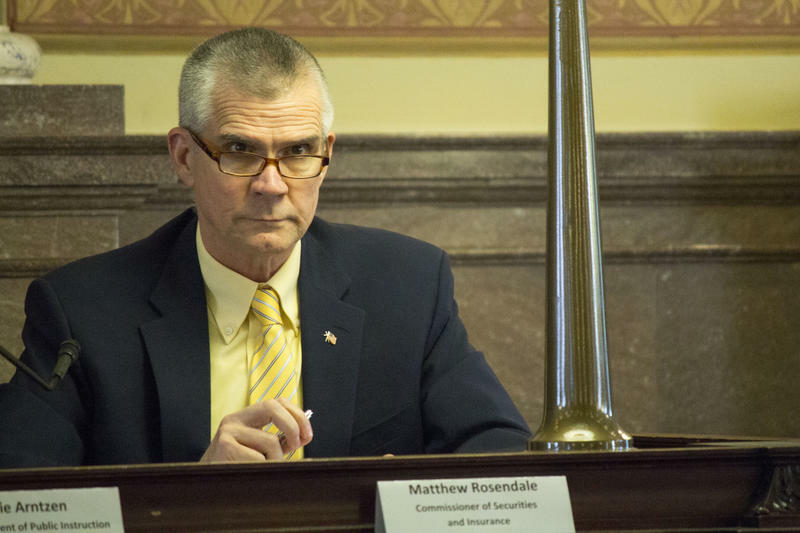 Rosendale cast key votes against the Confederated Salish and Kootenai Tribes water compact, Medicaid expansion, and the Disclose Act, which required more transparency in state campaign spending. 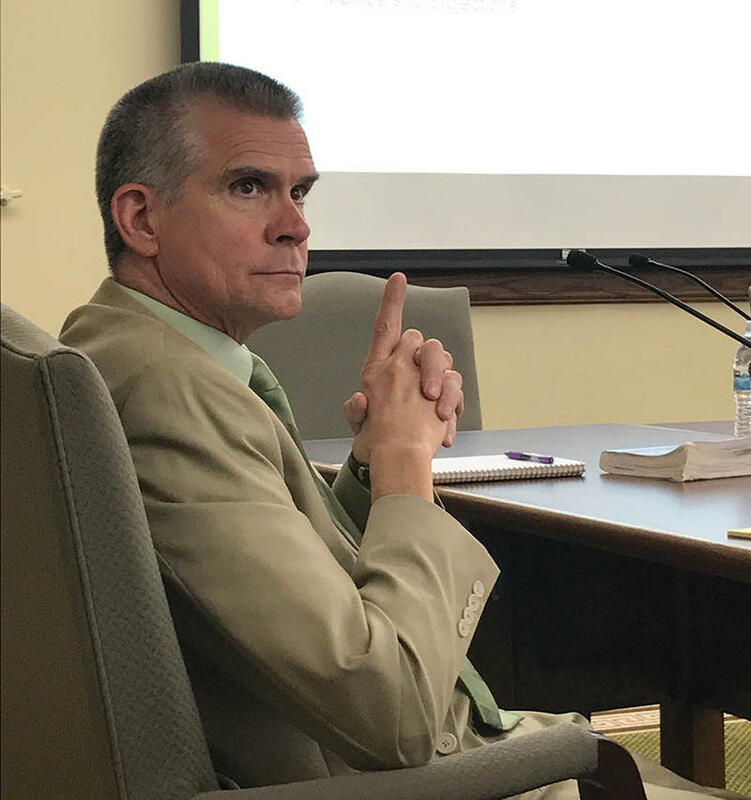 As state auditor, Rosendale regulates stock brokers and portions of the insurance industry in Montana. 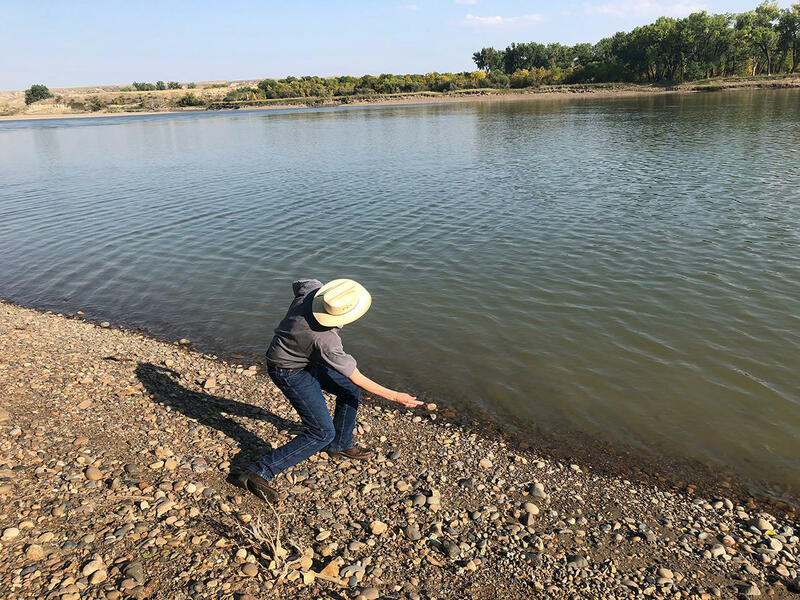 Montana Republican U.S. Senate Candidate Matt Rosendale skips rocks on the Yellowstone River near his Glendive home. I want to hop on the topic of the Affordable Care Act, Obamacare. You've called that a disaster. And one of the more popular aspects of it is that it forbids insurance companies from rejecting people with pre-existing conditions. And insurance plans that you've endorsed as better options don't require those covered for previous conditions. Do you think that Americans have to give up the guarantee of access to care with coverage of pre-existing conditions to get affordable health care? MR: No, and I've fought very hard to make sure that we continue to cover pre-existing conditions. However, we want to also make sure that people that don't want to or don't have the need for those additional benefits, that they are able to go out and purchase a product or a system that actually accommodates their budget. CCC: In 2017, Rosendale’s office asked state lawmakers to set up a high-risk pool to keep people with preexisting conditions covered if the Affordable Care Act was repealed. 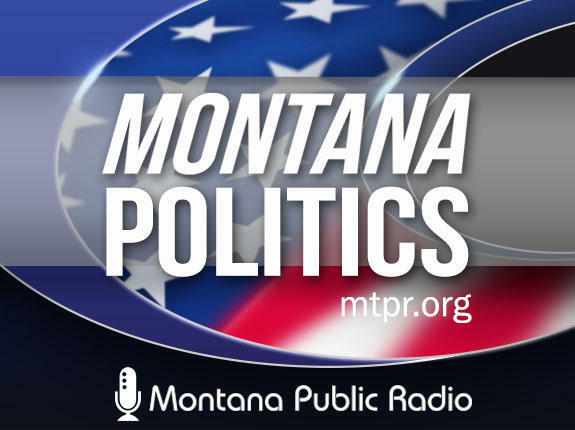 Governor Steve Bullock vetoed it, saying high-risk pools may not keep health care options affordable for some Montanans and that Rosendale’s proposal gave the Auditor's office power to make far-reaching health insurance policy decisions without input from the legislature or Governor. How much health coverage from insurance companies should Americans expect? MR: I think that the more options that are available for people to address their health care needs, that is one of our goals as elected officials should be, to make sure that there are all of these options out there for folks to accommodate their needs and that we additionally make sure that we always cover the people that don't have those options. CCC: On other policy issues, Rosendale says he does not support the transfer of federal land to state control, and that he wants to cut, “the red tape in the (U.S. Department of Veterans Affairs)”. He says he doesn’t support cutting Medicare or Social Security benefits. President Trump also promised not cut those entitlements. His administration announced in June that Medicare and Social Security will become insolvent in the next two decades, but has not offered a plan to address that. Democrat Jon Tester and Rosendale’s campaigns have exchanged barbs over each others’ financial backers. A few days after I spoke with Rosendale, The Daily Beast released a recording of Rosendale that some interpret as illegal coordination between his campaign and the NRA. For his part, Rosendale points out that the Democrat was the top recipient in Congress of money from lobbyists during part of this election cycle. A recent ad from Tester goes after Rosendale calling himself a rancher. Narrator: “Except Rosendale is not. No brand, not record of cattle sales of any kind." Where the bio on Rosendale’s website used to say "rancher," it now says "Trump Conservative." 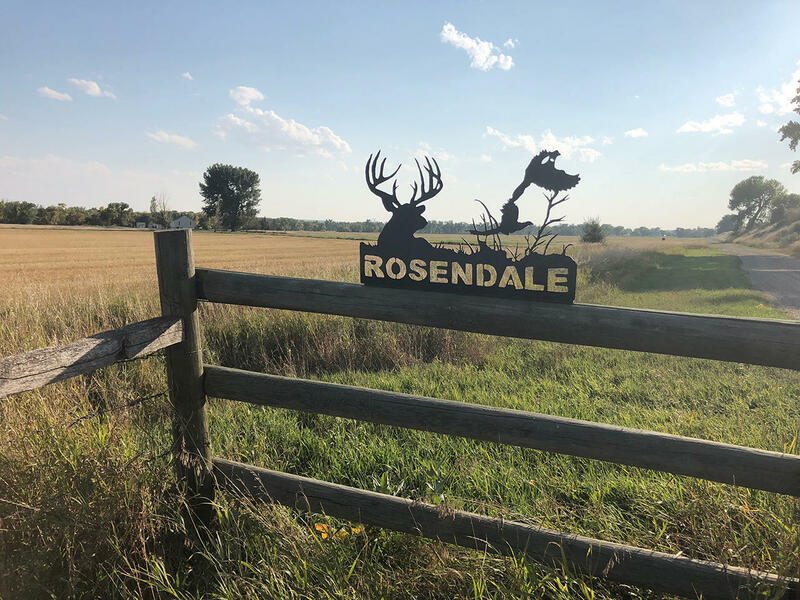 Rosendale moved to Glendive in 2002. A "Rosendale" metal sculpture on the Rosendale property near Glendive, MT. CCC: How do you characterize this place, your home, and this land? MR: When we when we moved out here, Corin, I can tell you something; there hadn't been anything done to this property for about 25 years. It was lacking badly in maintenance. And my sons and I went through here and we rebuilt fences and we rebuilt that corrals and I bought horses and a friend of mine brought cattle down here; and I can tell you something: I was responsible for every aspect of this ranch. So they can argue semantics on that and that's ok. I think the best place to go is to interview my neighbors and talk to them about what I've done working with them side-by-side. I think and they will tell you that that Matt’s a rancher, Matt has helped us as we've tried to manage our herds and take care of our ranches. CCC: After the interview Rosendale drives me down an unpaved road on his property past fields he leases out to local wheat farmers. Stopping at the Yellowstone River, he skips rocks and tells me when the river freezes he stands on the shore and shoots at coyotes that use it as a winter highway. “He does represent a lot of the ranchers and people who have been here 100 years," says Pat Mischel, who's lived in Glendive for 61 years. I meet Mischel while looking for locals to talk to in town. 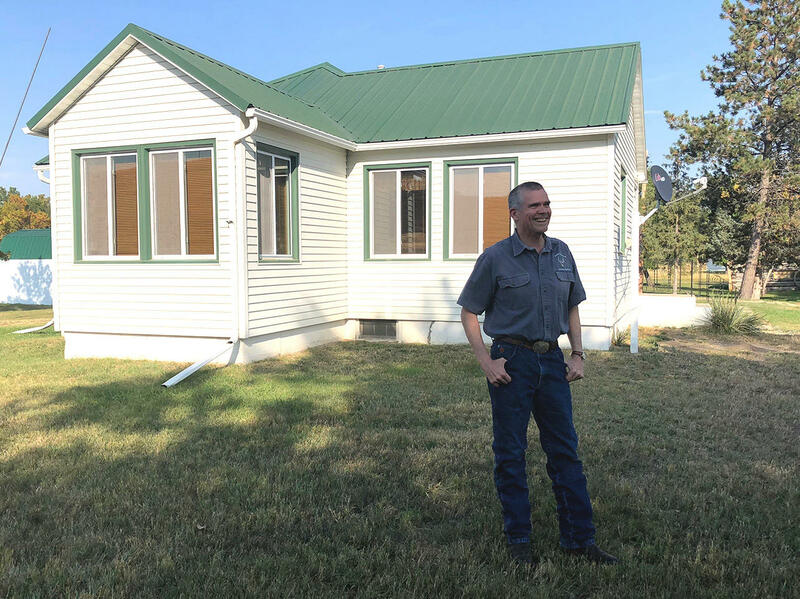 He’s working on fixing up a rental property, hoping to tap into the town’s next boom-bust cycle from the nearby Bakken oil fields. Mischel is a Democrat, and he knows he’s in the minority in this town that will support and campaign for Tester. Mischel says he understands why nearly 80 percent of Dawson County voted for Trump; he was a new face and a businessman. And while Rosendale isn’t a new name in the state, he’s banking that Montanans will still buy the message of a businessman promising to put money in their pocket. Last week’s CBS poll put Montana’s Senate race at a dead heat, within the margin of error. New ads in the Senate race go after ethics pledges, campaign finance violations — and feature the inevitable cow. The booming economy and the Trump factor are featured in new ads in the House race. And last but not least, a new ad appeals to Montana beer drinkers. 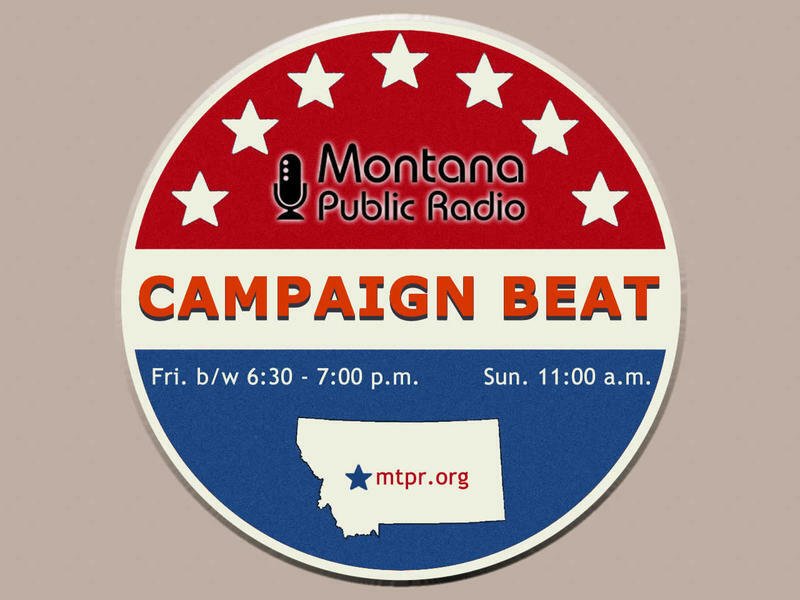 We break down the latest ads and issues in the congressional races, right now on "Campaign Beat."